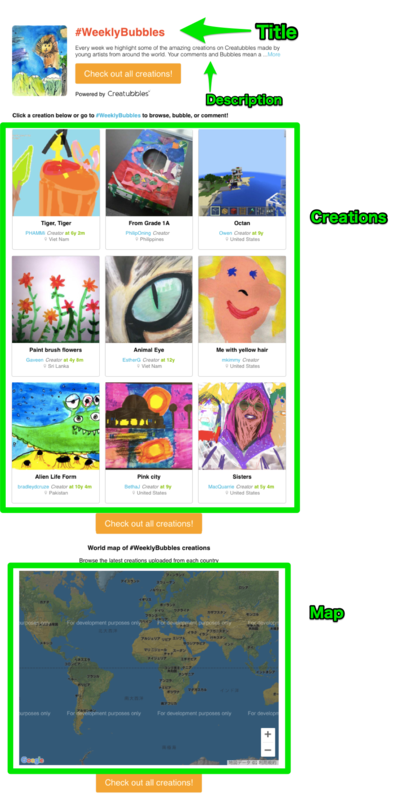 Creations on Creatubbles can be put in a gallery and easily embedded and published on external website or blog. Once the gallery is embedded, the most updated creations will automatically appear whenever there are new creations posted to that gallery. In this article, you will find instructions on how to embed the gallery as well as how to customize. *This can be done only from computer browsers. For details about the gallery, please check the article Create a gallery. 1. 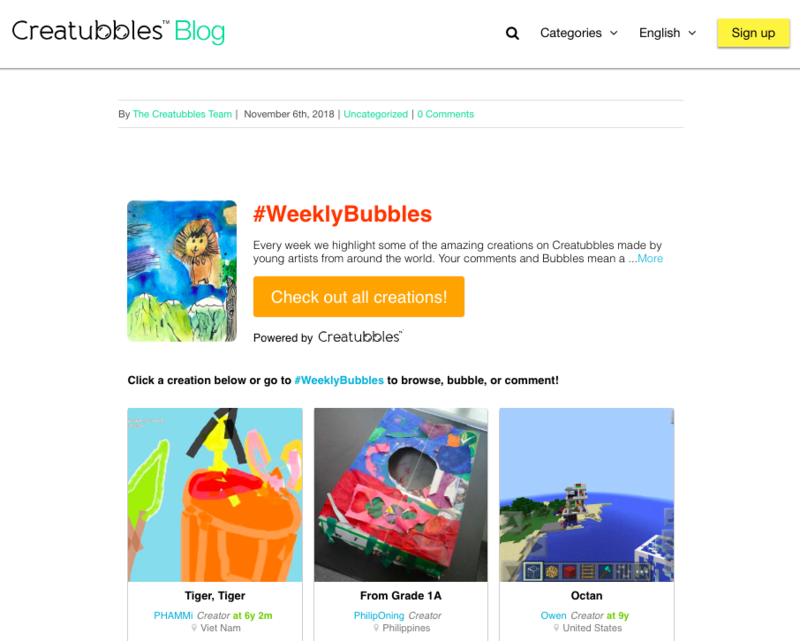 Open the gallery on creatubbles.com that you want to embed and click the share icon. 2. Copy the code under "Embed code"
You can customize the code for how you want to show the embedded gallery. 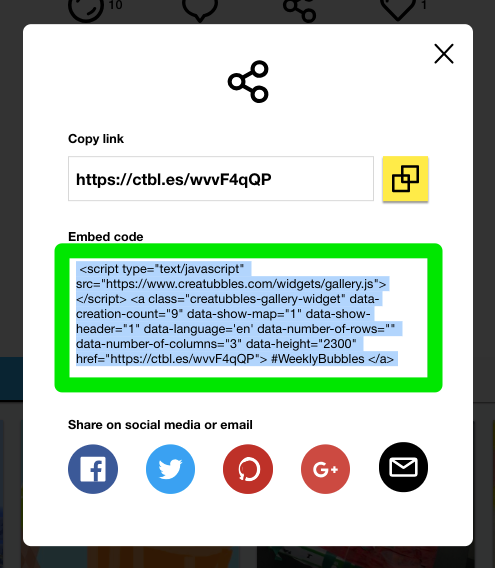 Please take a look at the "Customize the embed code" at the bottom of this article. 4. Paste the code in the website or blog that you want to embed. Complete! Now the new creations in this gallery will automatically appear and get updated on the website. The number of creations displayed can be controlled with [data-creation-count="9"]. For large screens you can also control how many creations are displayed on a single row via the [data-number-of-columns="3"] parameter. 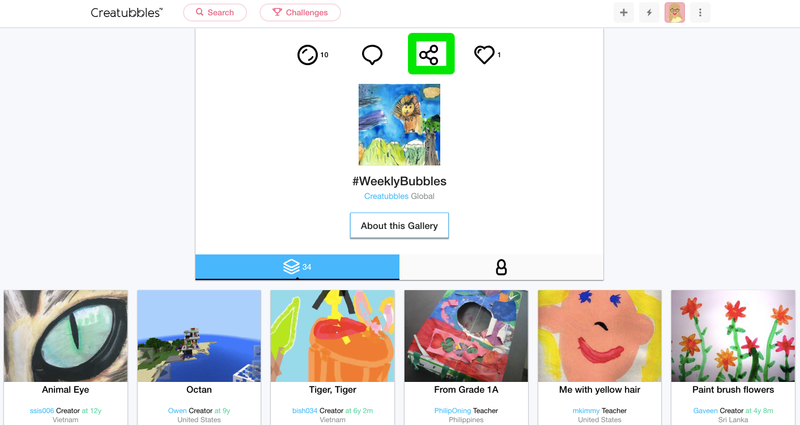 Note that the widget will always show the latest creations that were submitted to the gallery and approved. To limit the number of rows displayed you can set the [data-number-of-rows=""] parameter. To hide the world map, please change the [data-show-map="1"] parameter to “0”. To render the widget in a different language: [data-language="en"] on your website, change that parameter to "ja" for Japanese or "it" for Italian.